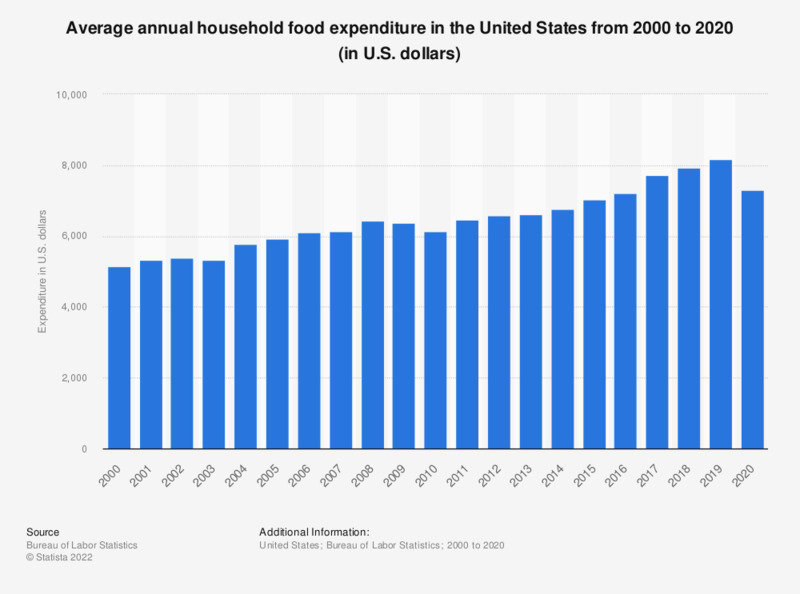 This statistic depicts the average annual household food expenditure in the United States from 2000 to 2017. In 2017, the average U.S. household food expenditure amounted to approximately 7,729 U.S. dollars. How long will it take you/your family to recover from the recession?